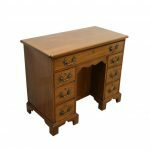 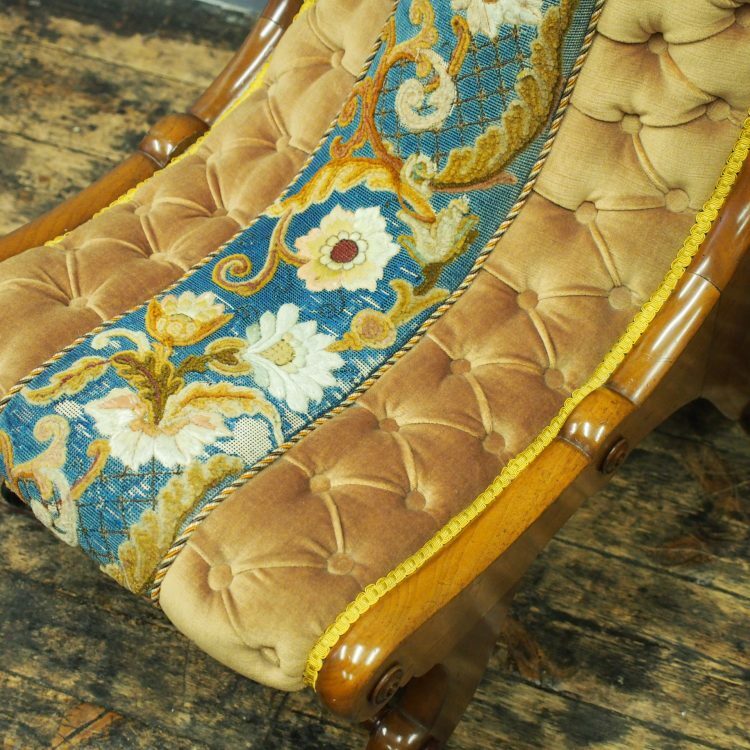 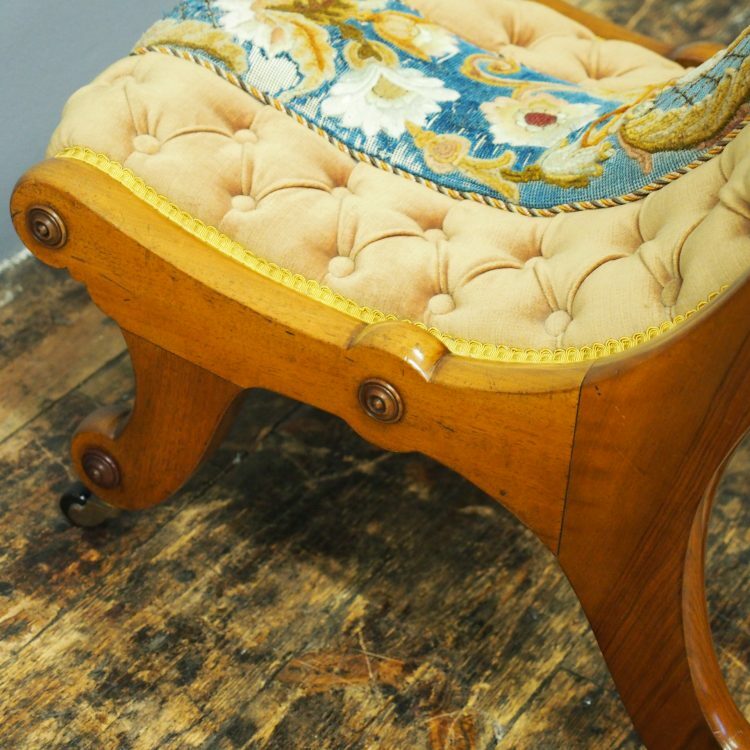 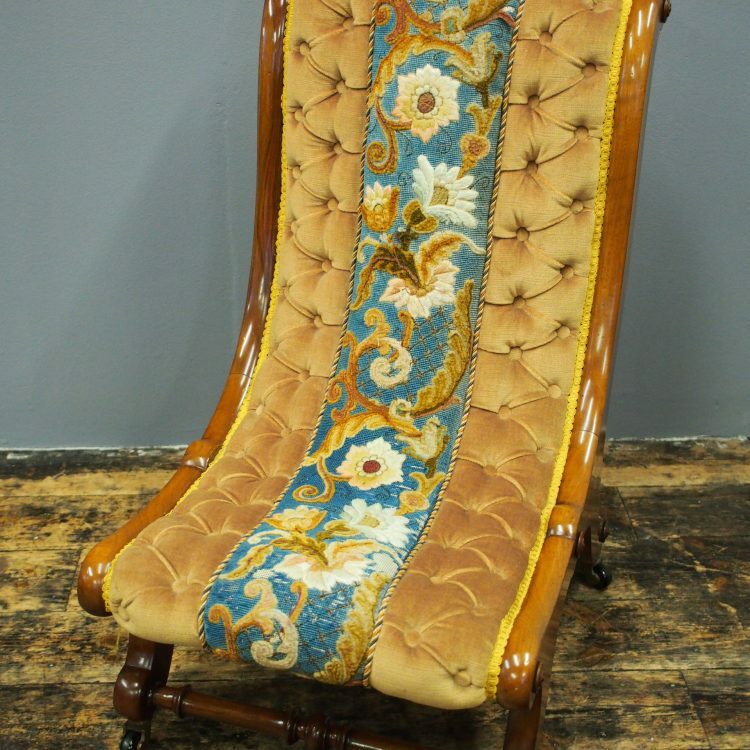 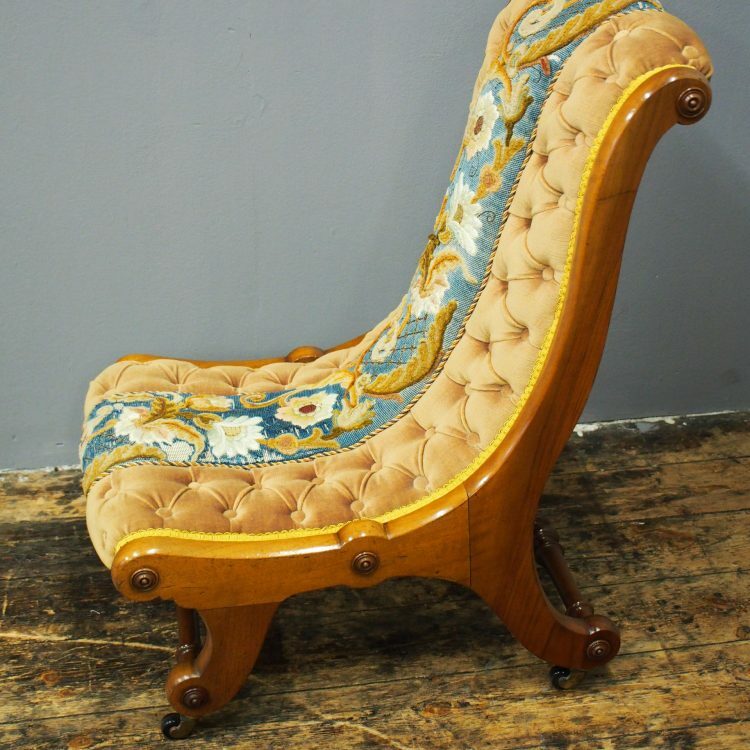 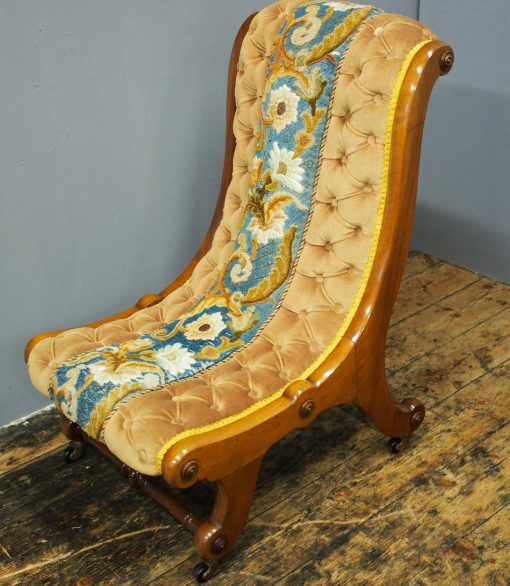 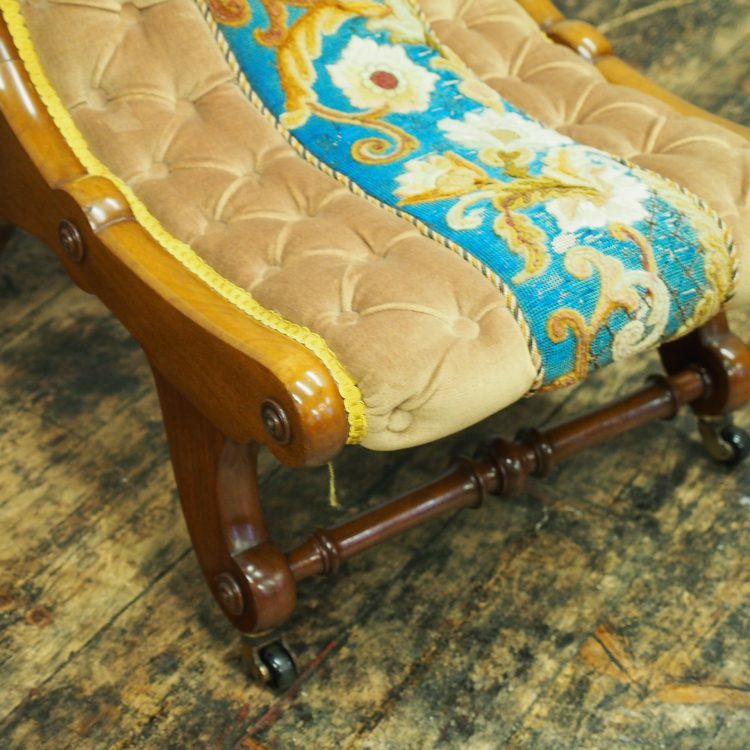 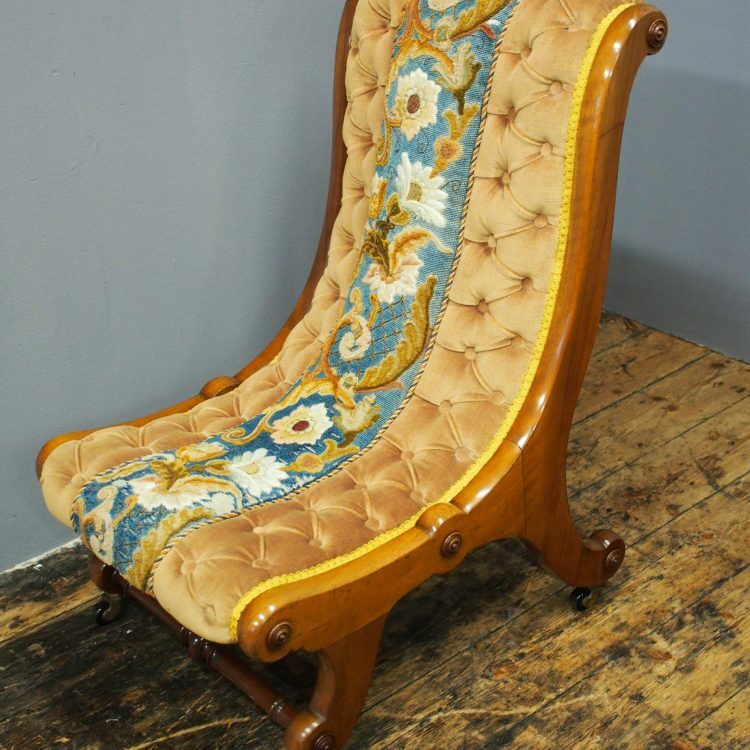 Circa 1880, Victorian walnut ladies easy chair. 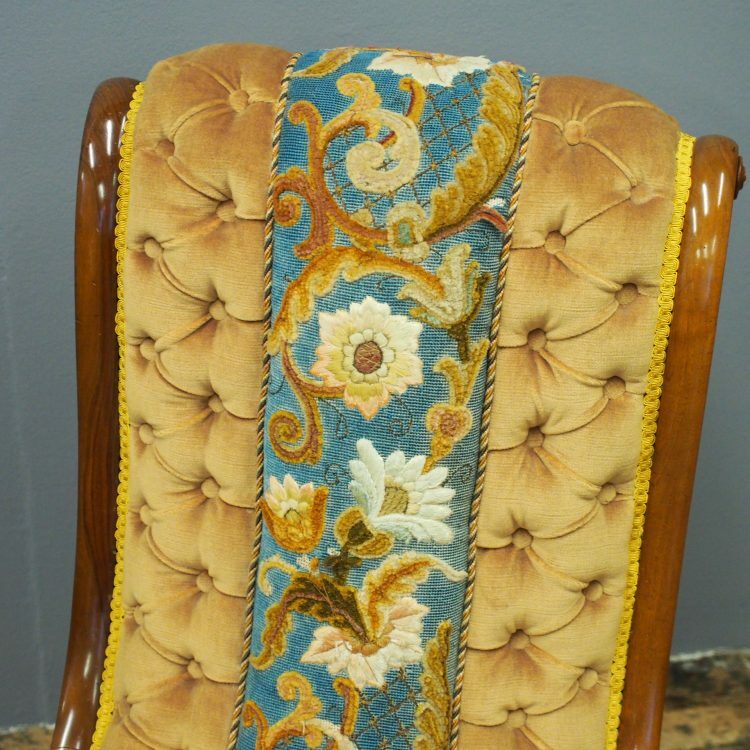 The tall shaped button back is in gold velvet upholstery with hand embroidered and beaded central floral panel. 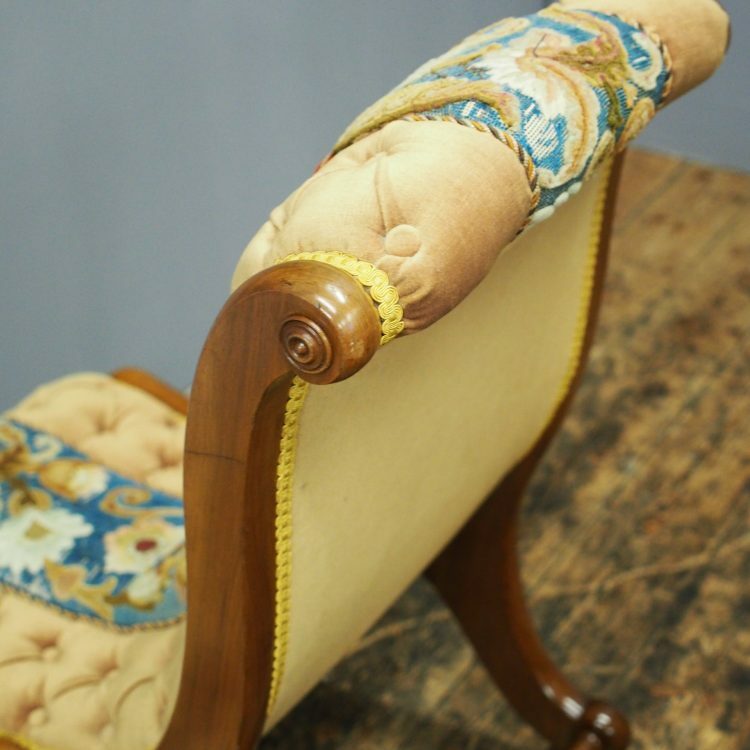 It is on shaped supports that extend down as the seat rail, and it is all over short cabriole legs with turned stretcher.